Looking for a 12ft trampoline that is suitable for your garden? Not to worry! Here at Trampolines Online, we have an amazing selection of 12ft round trampolines for you to choose from and all of them are suitable for any size garden. All of our 12ft round trampolines are from some of the largest trampoline brands in the UK, which include Plum, Cortez, Supertramp, Telstar, Upper Bounce, BERG and so much more! Most of our trampolines shown on this page have built-in safety enclosures, the reason for this is because we make to reassure you that your children can play safely when bouncing on our trampolines. On top of this, we even offer a home installation service if you require it. We encourage children to ‘Exercise through Play' on all of our trampolines, this is because we believe that every child should be happy, fit and healthy. Whether it's a sunny afternoon or having friends over, our 12ft round trampolines are ideal for any occasion! 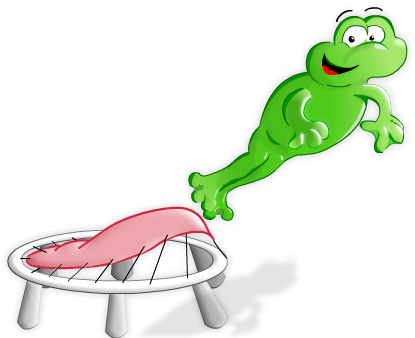 As one of the leading trampoline companies in the UK, all of our 12ft round trampolines are on sale. Compared to competitors, you can save £339 when buying a trampoline here. So don't miss out on our stunning range of 12ft round trampolines as you won't find better trampoline deals anywhere else. Click on the following links to see more of our other extraordinary trampolines such as our 14ft round trampolines or our 10ft round trampolines. Here at Trampolines Online, we take pride in all of our trampolines that we have in our online store. Which is why we believe that our range of 12ft round trampolines are perfect for you and your children to have. So if you would like to buy a 12ft round trampoline, contact us today on 0333 3660062 and one of our well-trained team members will be delighted to make the arrangements with you.